ruined the 2 other trailer hoods. havn't been dooing a lot the last monts at the attic,becides throwing more junk on it. so thee is so much dust there that the varnish is collecting it all. had a fan at the roofwindow before i started,a kitchen exhaust hood in the sprau closet was running aswel,but switch off before i started spraying,but it was hopeless. so i will try sanding it,spray it white again and spray it with a new layer of varnish. meanwhile the exhaust is running al the time now including the fan. will dig out tomorrow the Christmas junk,so even more dust will come up. it's so great to have a hobby,yeah right!!!!!!!! 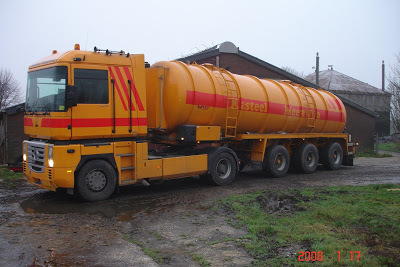 i went this morning to my uncle,which had a transport company if he could find images of the truck http://www.captainsvoyage-forum.com/...571#post137571 tah i'm building.we had look for a while,and thse we found wheren't much better,but see some other trucks from yesterday's years,that thouths came up. Do you know, I think about your uncle's truck sometimes when I look at this thread, and wonder if you are doing any more to it. But you've been busy with the others, especially after the problems with the wretched varnish, so I didn't ask you yet! It would be lovely if you could get going again on the old truck. Finish by May, perhaps???????? Those other old trucks that gave you some thoughts, will they help with uncle's, or were you thinking of making some models of them, too? Take care with the respraying of the spoilt bits of the new ones. At least, Thijs, you know that it will be successful with the new stuff. Stop bellyaching, man. It came out OK, didn't it? i put my uncle's truck in a box,need good images first,btw found another one in a picture book of me,and i know i have more,but WHERE??????????????????????? i wanted to make his old truck,i didn't know he had that one also. 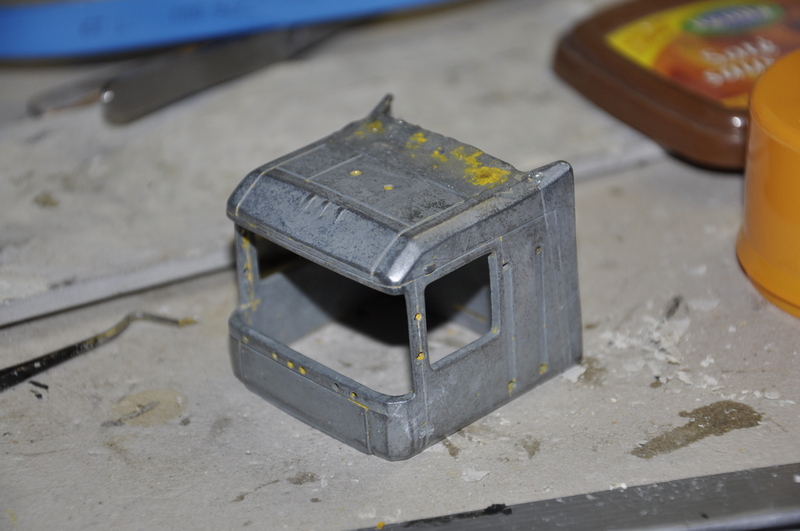 al the 4 trailers are bad,to much dust,i have to sand the roof of the 2 and the other 2 a complete repaint. it still didn't n work the word TRUCK should have been bleu,that brings you to the post. What a shame that you have to do the trucks again. But you have the patience, and you've already put so much work into it all that it will be very well worth it in the end. Last edited by wherrygirl; December 23rd, 2013, 00:15.
another model was standing for some years in a shoebox was a model of a truck from the neighberhood. Last edited by janihudi; December 22nd, 2013, 23:42.
what means that i had to lenghten the chassis, from a 1axle truck to a 2 axle truck. i dind'd feel much for that,i did do it more,but a lot of things change then. should remake the skirts etcetcetc. with this wet manure trailer behind it,which is exactly the same as modelfactory Lion toys made. Last edited by janihudi; December 22nd, 2013, 23:43.
but in my luck,they have a singleaxle truck. differend trailer as what will be in model. Last edited by janihudi; December 22nd, 2013, 23:41. 1. "Mesttank" - mmmm, lovely! I don't speak Dutch but the German word is almost exactly the same. 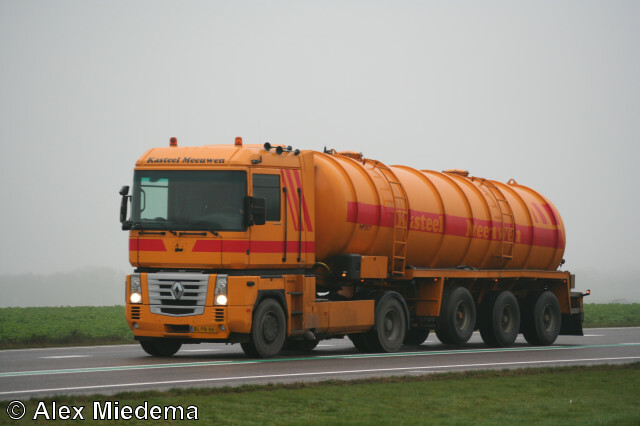 In English we would probably call this a "slurry tanker", "slurry truck", or "slurry wagon". 2. How do you go about matching the colours? 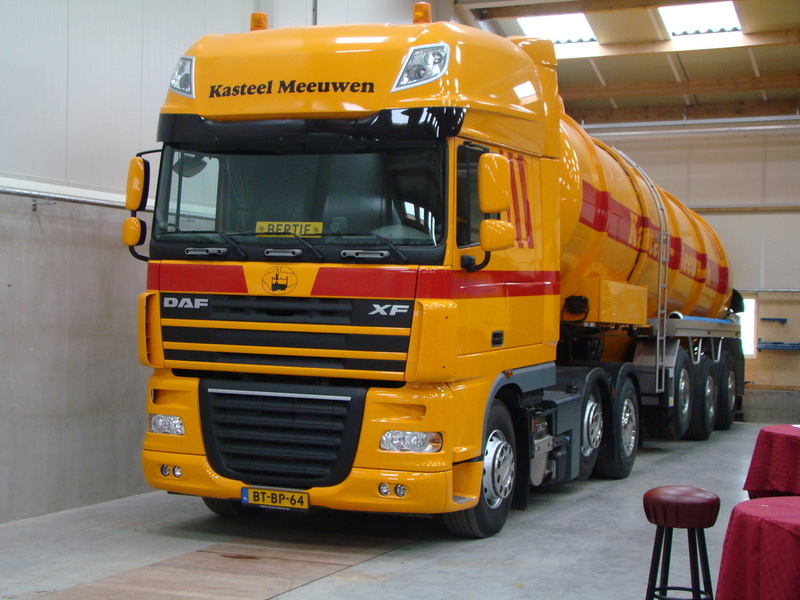 Every aerosol has its own number or name but nothing to say "this is the right colour for a Kasteel Meeuven truck". 3. #309 second photo - I like the lifting-eyes, top-front and top-back of the tank. It would be good to reproduce them in the model. They would make a very nice feature even though the tank differs in other respects. 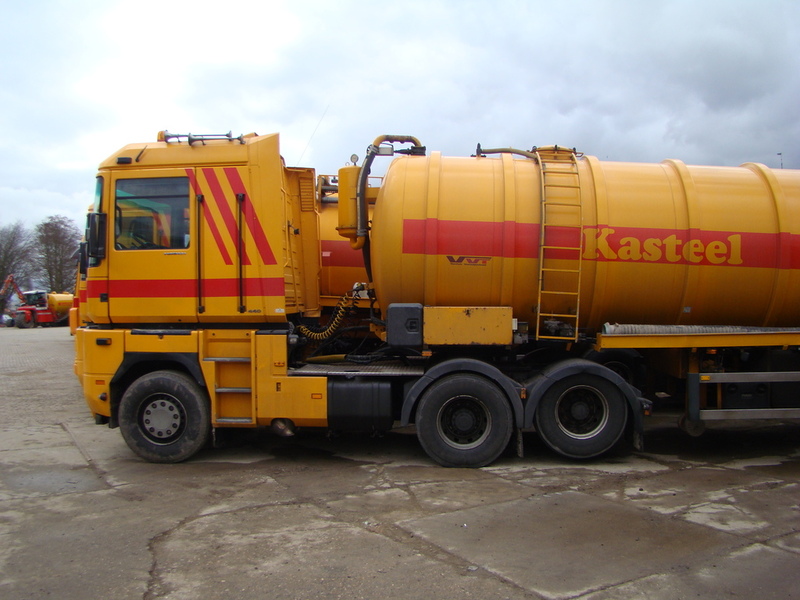 1. well ''mesttank'' or manure truck is the nice word for it,normally we say stront truck/wagen/car ,a sh.. truck/wagen/car. in German says translationsite here ''Gülle-Laster''. 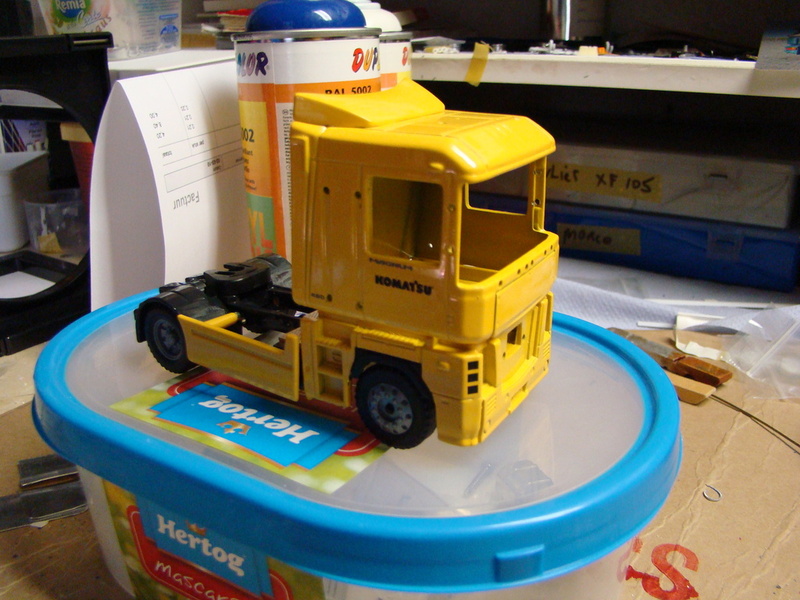 2.on the modelbuildersforum a lot of builders have the numbers from the truck paint,and they are placed in a index there. then there are books in paintstores which al lot of transport companies are listed in with al there colors and every color of them from earlier livery till now. or you go to the company and ask them for there numbers or if you may have some paint of them. or Phone them,send them a mail. in this case it was diffecult ,while they order a truck at the factory in a yellow orange color,but every factory have a own idea about what that would be. they drive DAF,Mercedes and Renault,and they have differend colors by brand. the paintshop here couldend help me,they had a lot of numbers,but which one is the right one. so they gave me one,which came close to it,as the girl said. 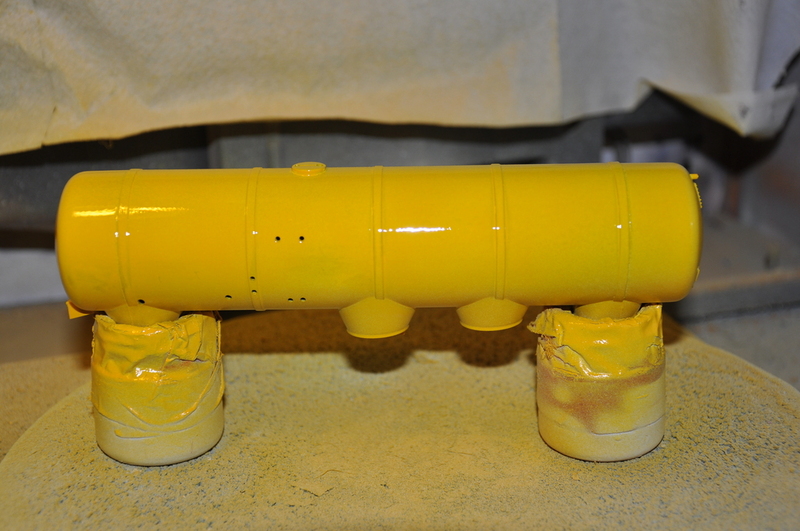 while spraying a truckpart it was very yellow,and even worst i found out that i already had a can of that color. also the tank was already sprayed,but the Glue seams???? between the parts where to big,su removed the maint and filled the glue seams. so i went this week to the company of Kasteel Meeuwen, ''Meeuwen Castle'' a little castle in the village Meeuwen (seagulls). and told them that i was building a truck of them and if i could get some paint from them. they gave me a spraycan with the right color. 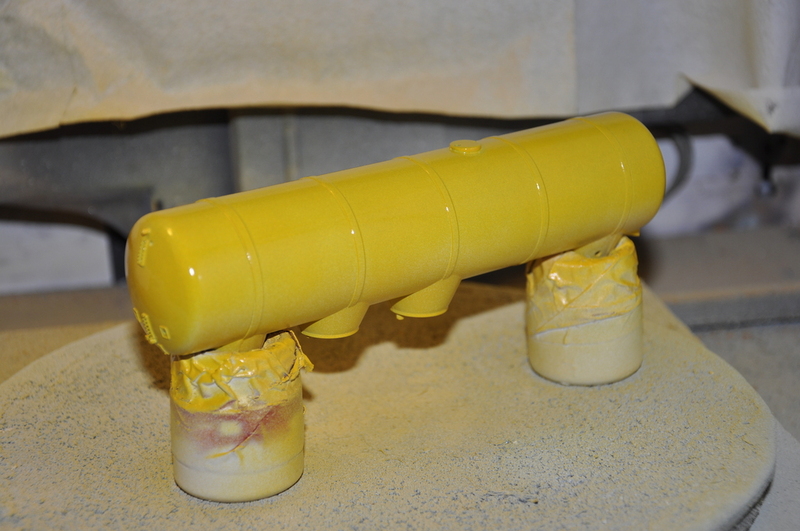 that i sprayed the tank again in the wrong yellow,is because off the can wassn't a full one,so i use the wrong yellow as a groundlayer. 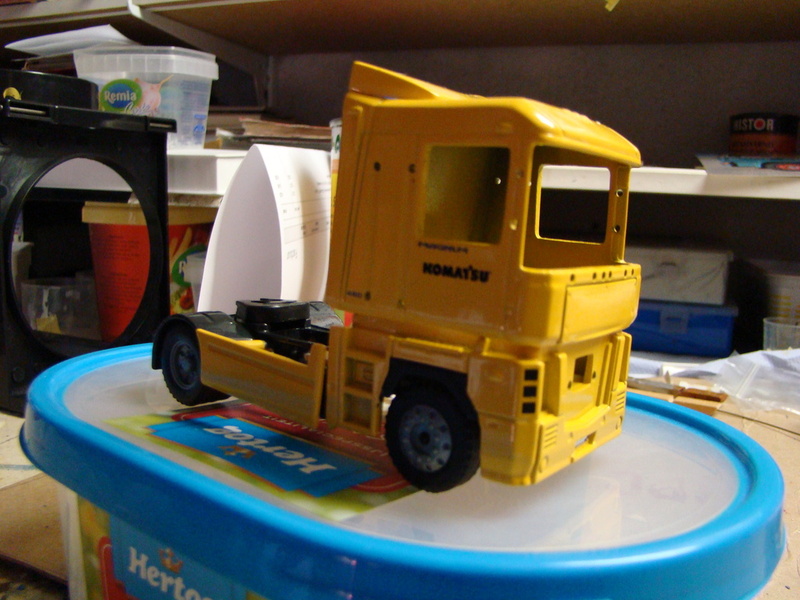 3. i don't want to make to much details in it,and also extra work,just a simple truckmodel. 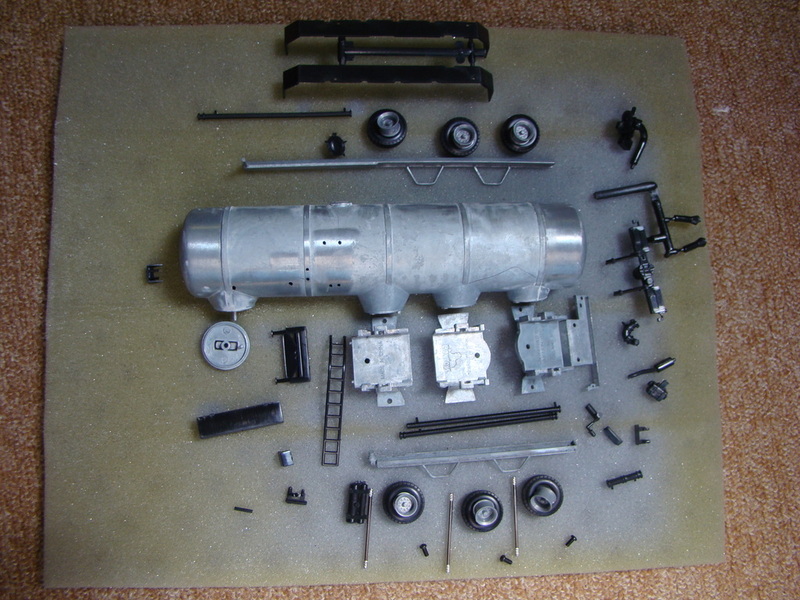 the top part of the cab,with the removed spoiler,and with the paintremover on the part where the spoiler was. 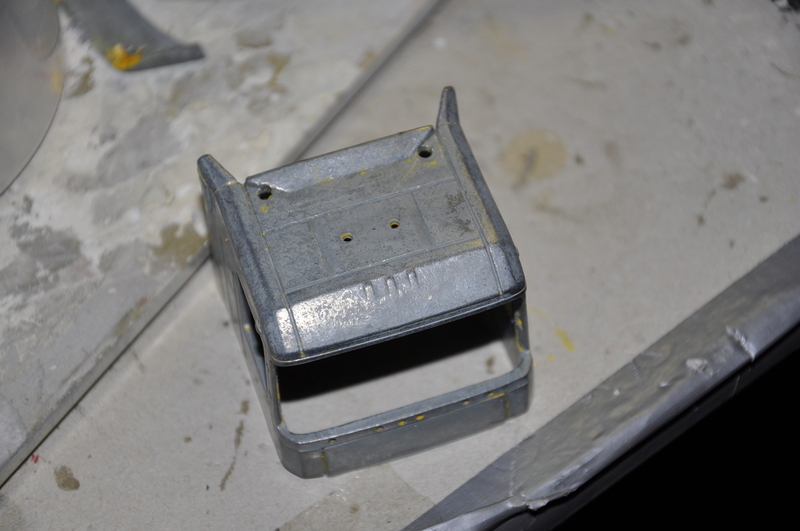 the 2 bigger holes have to be filled,but have to drill 4 holes in it,for 2 airhorns and 2 (orange) emergency lights. 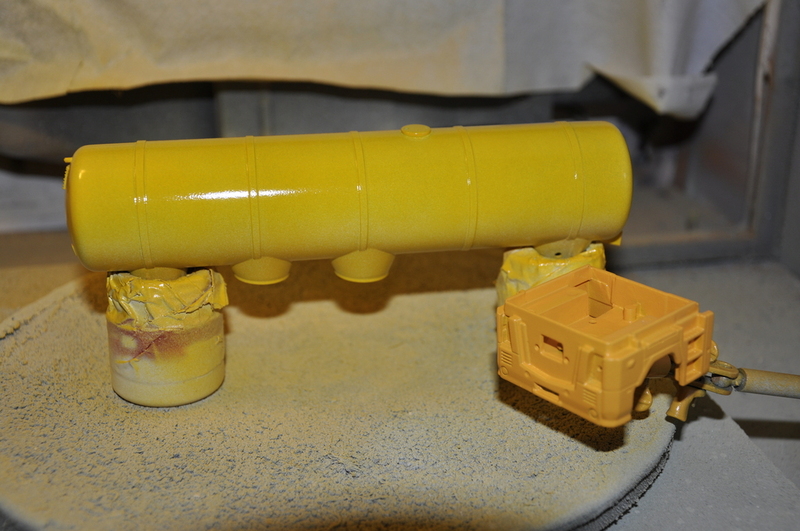 Last edited by janihudi; December 23rd, 2013, 08:52.
the wrong yellow tank,with the right color lower cab part. Thanks for the explanations Thijs. That is all very interesting.